This nine minute interview with William Kenower of Author magazine took place in late June 2013 in Seattle, Washington. I will be scarce for the next few weeks or probably longer as my father entered hospice care four weeks ago (cancer) and I am at my parents’ house helping out and being present. 1) The Secret Journal of Beatrice Hassi Barahal is very close to print. My daughter and I went over the first proof last weekend (August 17 & 18) and made what we hope are the final changes. I will see the second proof this weekend (August 24 & 25) and if as we hope there are no more changes necessary, then it will go to the printer on Monday or Tuesday (August 26 or 27). If so, it may be available for sale by end of August or certainly the first week of September. Thank you for your patience. I’m really thrilled with it. I will post all over the internets when the print version is ready, and an order page will at that point be available at Crab Tank Ink, who will be doing the distribution. There will be an ebook version but — fair warning — it will be a pdf because of the illustrations (the text and the illustrations are woven together into the story). 2) I still have many questions from the Cold Steel giveaway as yet unanswered. I do intend to answer all of your wonderful and excellent questions, but it will unfortunately take me longer than I had originally intended. So keep checking back periodically if you’re interested. 4) The audiobook of COLD MAGIC (Recorded Books) seems to be available at Audible.com although I have had no formal announcement of its release. The narrator is Charlotte Parry. I haven’t heard it yet so if you do, let me know! 5) Last month Open Road Media released all eight titles of my oldest backlist, including JARAN and its subsequent titles, the Highroad Trilogy, and The Labyrinth Gate. These are books I wrote and published 20 – 25 years ago. I have to admit that while I have been really pleased to see ORM release the books in e-format, I have had a few reservations because the books were written two decades ago. While there is much that I love about the books, there are also some things that I now consider problematic and would certainly not write now the way I wrote them then. I am aware that a few readers have already found objectionable content in the books. In some ways I suppose I think of this as a window into how my thinking and approach has evolved or, at the least, changed, one hopes for the better. Not that problematic content doesn’t creep into my work today, also; as always, the work is a work in progress. 6) Finally, I am going to post a memoir my father wrote called Remembering Japan 1945 – 1946, in chapters. Based on his memories and his letters home, it is an account of the nine months he spent in Japan during the occupation; he was a Navy signalman, a 19 year old from a small town and a thoughtful and observant young man who was very struck by his experiences. The memoir will be linked from my Extras page for now, and I will post each time I add a new chapter. 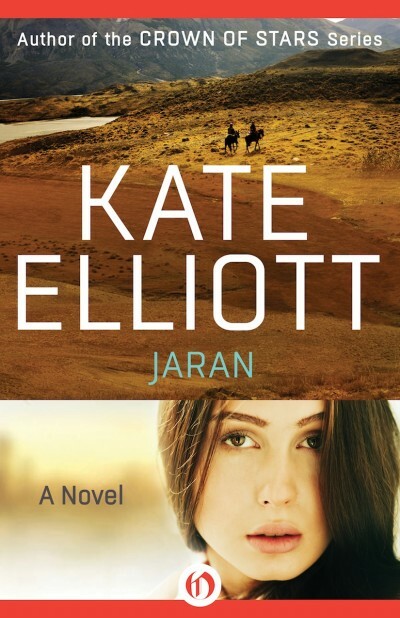 Open Road Media is giving away an ebook bundle of the Jaran series. Giveaway is open only to residents of USA. Dates: August 7 – August 11. This is the link to the giveaway, which is on tordotcom.